These days, society knows the physically disabled can do everything everyone else can – sometimes much, much more. But the courage and tenacity of the (so-called) disabled began long before this century, and nowhere is that more evident than in the story of a plucky, partially-crippled girl named Annette Kellerman who swam her way to being a catalyst for women’s fitness. 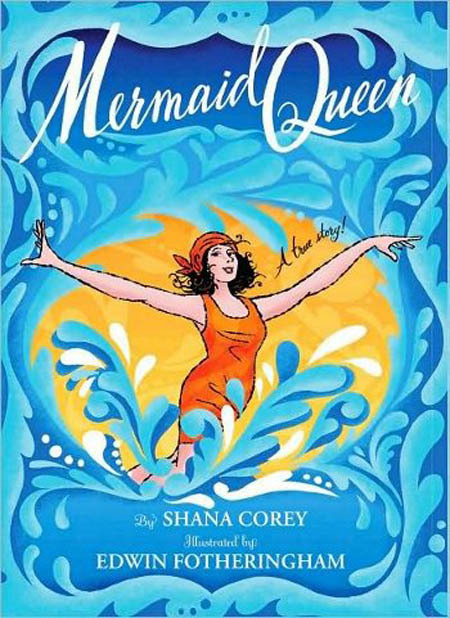 In Mermaid Queen, author Shana Corey tells the inspirational story of Australian-born Annette Kellerman, a partial-cripple who left her mark on women’s fashion while swimming her way to fame and fortune. Water ballet! That’s what it was. Annette’s water performance was so popular, she took her show around the world, visiting places like England, France and Vienna and shattering sports and gender stereotypes as she went. But it was in America that Annette made her boldest mark. You see, American women wore stockings, shoes, collars, caps and bathing dresses to the water, but they never swam for fear of sinking like a stone. Annette, on the other hand, wore a nice, form-fitting swim-suit that dared to show her arms and calves. She was promptly arrested, but not before American women took notice and longed for lighter, cooler and more appropriate swimwear to wear to the water. 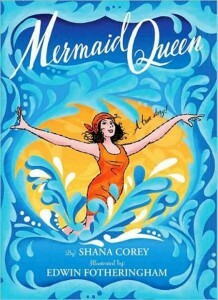 Mermaid Queen is such an inspirational book! 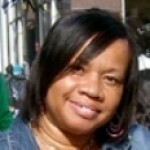 It’s about overcoming disabilities, changing mindsets, and striking a positive blow for all of woman-kind. It’s also a big and colorful book, with dimensions that give the vibrant artwork inside (done in scrumptious red, blue and orange colors) a “bigger-than-life” feel. Want to inspire your little pony-tailed athlete? What better way than to pick a copy of Mermaid Queen today.